Easy Digital Downloads is one of the most popular WordPress plugins for websites. It is free and it can be used to easily set up a system on your site which helps you sell digital products, such as software, plugins, photos, audio files, videos, fonts, graphics, and more. Here are 25 best Easy Digital Downloads themes you can use to set up your site in minutes and start selling your digital goodies! DGWork is a WordPress theme that comes integrated with Easy Digital Downloads. Use it to launch your self-hosted online shop to sell different types of digital products: eBooks, software, photos, videos, audios, and more. Humbleshop is a minimal theme designed for the Easy Digital Downloads plugin. This theme is based on the Bootstrap framework and has a real-time theme customizer. SoundBox is an Easy Digital Downloads WordPress theme with a responsive design. It was created for selling music, videos, and other digital products online through a clean, modern and easy to use layout. It comes with RTL support, multiple languages and can contain multiple stores. It has a powerful admin panel and lots of customization options. Uses Material design principles. 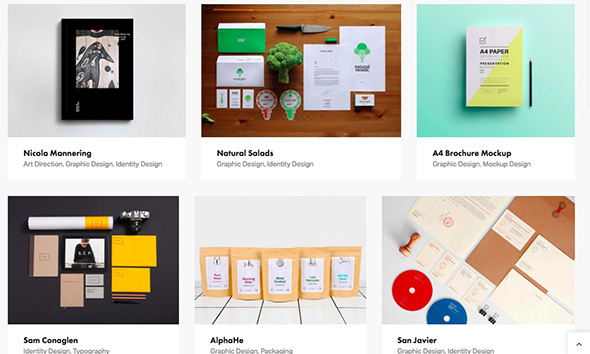 Olam is a great theme to build an online store or marketplace using Easy Digital Downloads. Use it to sell digital products like software, plugins, photos, audio files, and more. It is packed with the easy-to-use Unyson page builder and has plenty of features to choose from. It is fully compatible with Easy Digital Downloads extensions. 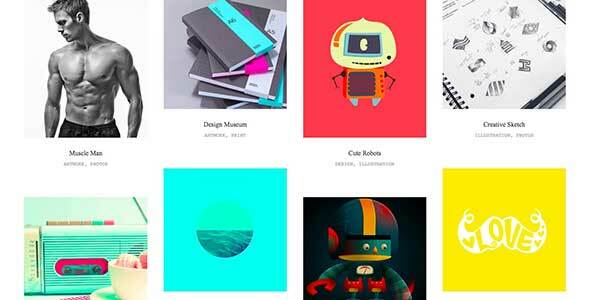 Brøl is a WordPress theme for selling digital assets online. It is perfectly integrated with the Easy Digital Downloads plugin so you can easily set up your online store and start selling stock photos, graphics, software, ebooks, audio or video files, plugins, themes, logos, and more. 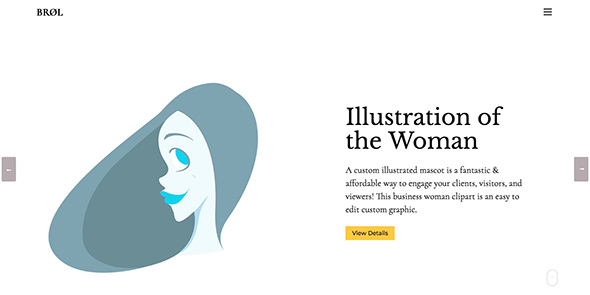 It has a minimalist, responsive design and can be used by any niche. 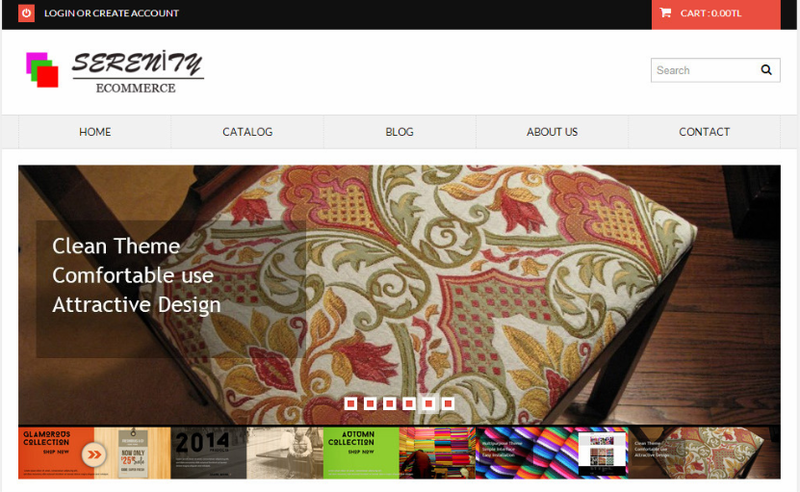 Serenityshop is a great EDD-friendly theme you can use to sell digital products. It is based on the Bootstrap framework theme and has real-time theme customizer for easy customization and page creation. Ascent is another great theme suitable for selling digital items via WordPress. Unlike other themes from this list, this one focuses on selling just one digital product, making it the perfect theme for selling apps! Use it to highlight the eBook, app, software or graphics set you created! 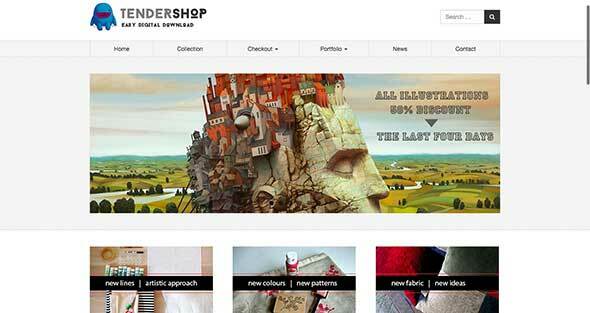 Tendershop is another awesome theme designed for the Easy Digital Downloads plugin. Use it to quickly and easily sell digital products. Based on the Bootstrap framework, this theme also has a real-time theme customizer. Easily sell templates, tutorials, music, ebooks, stock photos, stock videos, plugins, software or any other digital services and products with this great theme designed for the free Easy Digital Downloads plugin. Create your own marketplace in just a few hours! This is a great theme for creating digital marketplaces. It combines the amazing features of the free Easy Digital Downloads plugin with those of the Marketplace extension bundle. Sell photographs, fonts, audio files, videos, and more! This theme comes with Easy Digital Downloads plugin integration for selling intangible products on your website. It also offers a great blogging experience, successfully combining the blog features with those needed by an online shop. This theme is very easy to customize, offering unlimited colors, fonts, and CSS settings. It has a responsive design and a lightweight structure. Restored Marketplace is a complete marketplace solution integrated with the Easy Digital Downloads plugin. 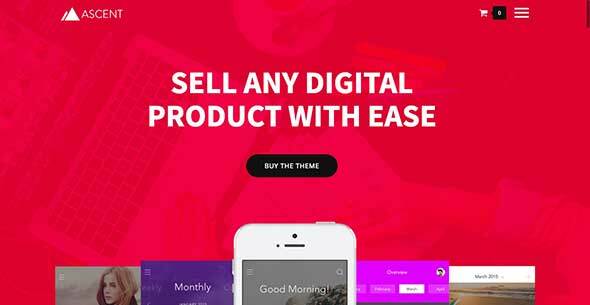 Use this theme to build an online store for selling digital products such as photos, plugins, software, audios, videos, etc. Here’s a flexible WordPress theme you can use for your digital marketing agency or SEO company presentation website. It is EDD-friendly, so you can easily sell digital services online. Seosight is an ideal WordPress theme for online marketing, SEO, and social media businesses. It comes packaged with the KingComposer Frontend Live Editor and offers RTL support. You can also use it to sell digital stuff online. 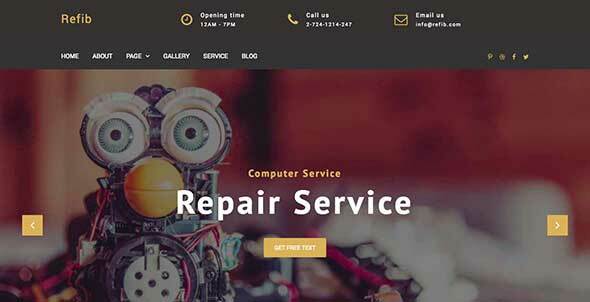 Refib is a responsive theme for selling digital services online. It is created for businesses offering computer or mobile repair services. Meminz is a great theme for setting up a landing page for software products. It is integrated with EDD and has a modern design focused on converting visitors into customers. This theme was built with Twitter Bootstrap v3.2.0, css3 and HTML5 code. It is fully responsive. 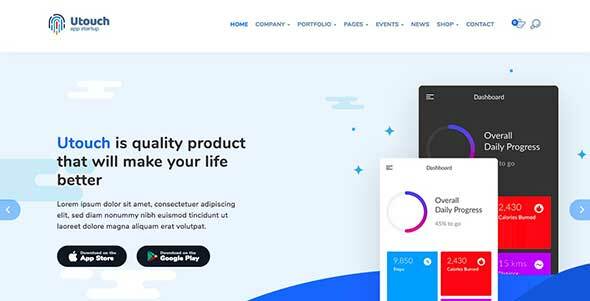 Utouch Startup is a multi-purpose business theme that comes with a front-end Live editor and an intuitive interface with multiple Widgets, sliders, and shortcodes. Use it to grow your digital business online! 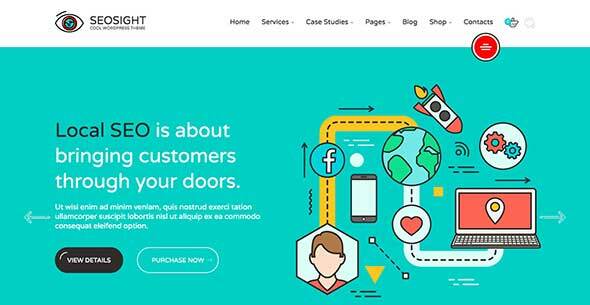 Radium is a highly customizable and easy to use website theme for SEo/digital companies. It is packed with the popular Visual Composer and Rev Slider plugins. Check out this great WordPress theme based on the Bootstrap framework, offering a clean, responsive & easy-to-use structure. 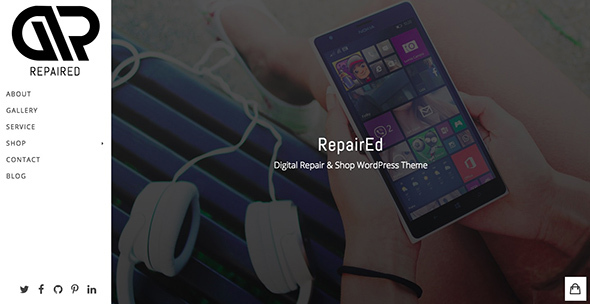 It is focused on digital repairing services and it is integrated with Woocommerce and EDD plugins. 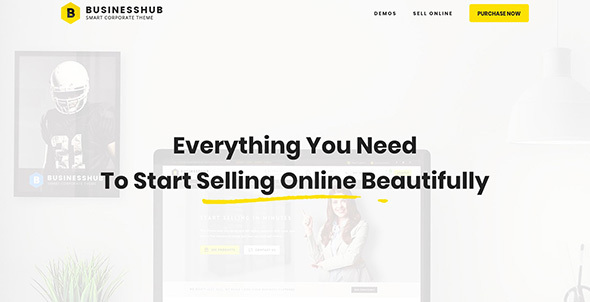 BusinessHUB is another powerful WordPress theme for selling your digital products online with the help of the free Easy Digital Downloads plugin. Use it to launch your online store in minutes and start selling your fonts, photos, videos, audios, e-books and more. Check out this content-focused WordPress theme that comes with a mobile-friendly masonry layout and EDD plugin integration. Use it for blogging or selling stuff online. 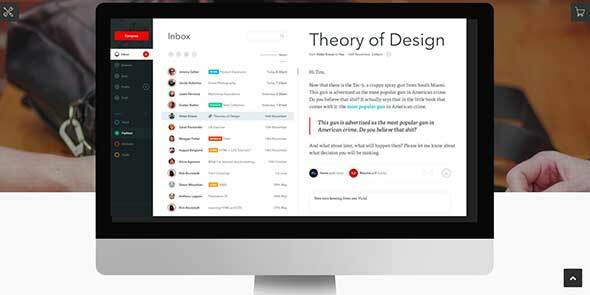 Helium is a WordPress theme build for creatives and bloggers. It comes with a blog and portfolio function, as well as a full integration of Easy Digital Downloads. It is also powered by an AJAX navigation system. Travelia is clean Easy Digital Downloads WordPress theme with a powerful admin panel, lots of essential features and an easy installation and customization process. Spaces is a creative theme with a minimal design. It can be used to create your online portfolio and sell products via the Easy Digital Downloads integration & WooCommerce shop. 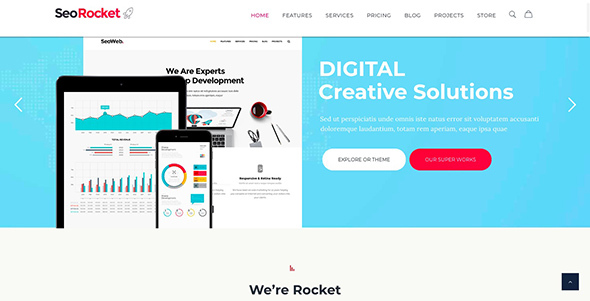 SEORocket is a responsive WordPress theme with a ton of great options for building your site. It is also integrated with the EDD plugin, so you can use it to sell digital stuff online.